Talented Nigerian indigenous musician Qdot Alagbe is keeping pace with his contemporaries as he commissions his very first official single for the year 2018, a song titled “Jalikima”. Qdot, whose real name is Fakoya Qudus Oluwadamilare, hails from Ikorodu in Lagos state and rose to prominence upon the release of his hit song “Alomo Meta” in 2013. The Yaba College of Technology graduate kicked off his music career way back in 2010 and released “Story Of My Life”, his debut single as an artiste, not long after. Since his music career took flight, Qdot has managed a number of impressive live performances at events such the 2015 Olamide Live in Concert and Felabration of the same year. The Afropop and Fuji artiste has worked with artistes such as Pasuma, Lil Kesh, 9ice and Terry G, as well as music producers the likes of Antras, Indomix, Dtunes and Citi Boi. 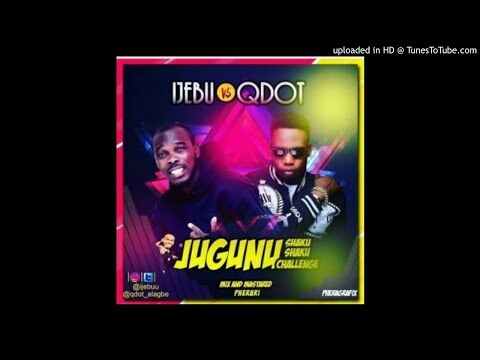 Under the imprint of Yorubadboi Music, and sequel to the massive success that his last release of 2017 “Ijo Gelede” has recorded so far, Qdot teams up with his long time producer Antras to cook up “Jalikima” for his teeming fans. Apart from bringing us everything that we love about Qdot, “Jalikima” particularly bears with it a distinct Eastern feel that’s just so refreshing to listen to. Simply stream or download “Jalikima” right away to enjoy Qdot‘s latest offering. Remember to share your thoughts with us in the comments section below.